Wayne Purser was commissioned a 2d Lt in the U.S. Air Force on September 10, 1970, and completed Undergraduate Pilot Training and was awarded his pilot wings at Vance AFB, Oklahoma, in September 1971. Lt Purser next served as an instructor pilot with the 25th Flying Training Squadron at Vance AFB from October 1971 to April 1974, followed by helicopter pilot training at Fort Rucker, Alabama, from April to September 1974. He served as an HH-53 Super Jolly Green Giant pilot with the 40th Aerospace Rescue and Recovery Squadron at Nakhon Phanom and then Korat Royal Thai AFB, Thailand, from September 1974 to September 1975, and during this time he participated in the Mayaguez Incident in May 1975. 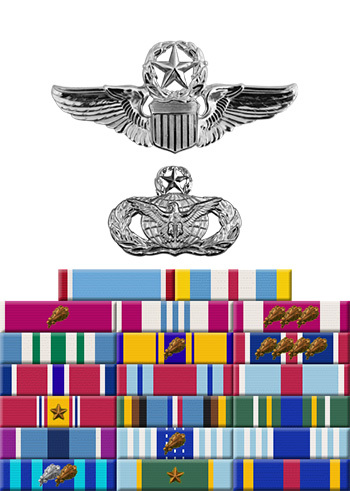 His next assignment was as a helicopter pilot, operations staff officer, and later as Aide de Camp to the Commander with Headquarters Aerospace Rescue and Recovery Service at Scott AFB, Illinois, from October 1975 to April 1979, followed by service as a Search and Rescue Air Operations Staff Officer and then as Executive Officer to the Deputy Director for Operations and Training with Headquarters U.S. Air Force at the Pentagon from May 1979 to April 1982. Maj Purser next served as Commander of Detachment 6, 37th Aerospace Rescue and Recovery Squadron, at McConnell AFB, Kansas, from July 1982 to July 1983, and he then attended Armed Forces Staff College at Norfolk, Virginia, from July 1983 to January 1984. He received an Air Force Institute of Technology assignment to complete his Master's Degree from January to May 1984, and then served with the 33rd Aerospace Rescue and Recovery Squadron at Kadena AB, Okinawa, from June 1984 to September 1985. LtCol Purser next served as Commander of the 321st Security Police Squadron of the 321st Security Police Group at Grand Forks AFB, North Dakota, from September 1985 to July 1987, followed by service as Chief of Security Police and Commander of the 8th Security Police Squadron with the 8th Combat Support Group at Kunsan AB, South Korea, from August 1987 to July 1988. He attended Air War College at Maxwell AFB, Alabama, from July 1988 to June 1989, and then served as Chief of Program Security and as Assistant Director for Security in the Office of the Secretary of Defense in the Pentagon from June 1989 to January 1991. Col Purser next served as Senior Military Executive, Acting Deputy Director, and then as Military Deputy with the Defense Base Closure and Realignment Commission from January 1991 to August 1993, followed by service as Commander of the 341st Missile Security Group of the 341st Missile Wing at Malmstrom AFB, Montana, from August 1993 to August 1995. Col Purser served in the Office of National Drug Control Policy from August 1995 to September 1997, and then as Deputy Director in the Directorate of Security Forces with Headquarters Air Combat Command at Langley AFB, Virginia, from September 1997 until his retirement from the Air Force on October 1, 2000. The President of the United States of America, authorized by Section 8742, Title 10, United States Code, awards the Air Force Cross to Captain Roland W. Purser for extraordinary heroism in military operations against an opposing armed force as a Helicopter Aircraft Commander on 15 May 1975. On that date, while engaged in the recovery of the SS Mayaguez, Captain Purser disregarded intense ground fire and successfully landed two contingents of United States Marines on Koh Tang Island. Captain Purser then elected to attempt the withdrawal of United States Marine forces. Despite the hazards of flying a battle damaged aircraft, intensive ground fire and darkness, removal of the forces was successfully accomplished. 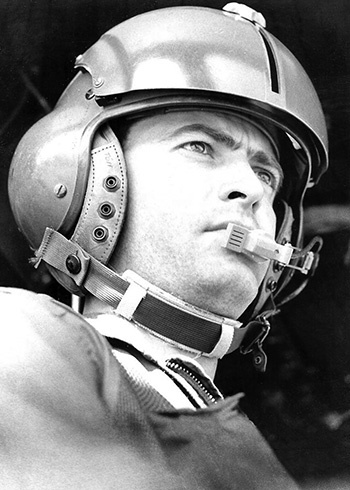 Through his extraordinary heroism, superb airmanship, and aggressiveness in the face of an opposing armed force, Captain Purser reflected the highest credit upon himself and the United States Air Force.